The early estimates of the size of the Bingham Canyon mine slide show that more than 165 million tons of rock and dirt have slid into the bottom of the mine. That makes this slide the largest to ever happen there. Kennecott Utah Copper spokesperson, Kyle Bennett, says it will have a large impact on their yearly copper production. "The 165 million ton slide does translate, unfortunately, into a reduced production of refined and mined copper of about 50 percent,” he says. While the Mine Safety and Health Administration has still not given Kennecott employees access to the pit, Bennett says they’ve concluded that a majority of their equipment made it through the slide undamaged. 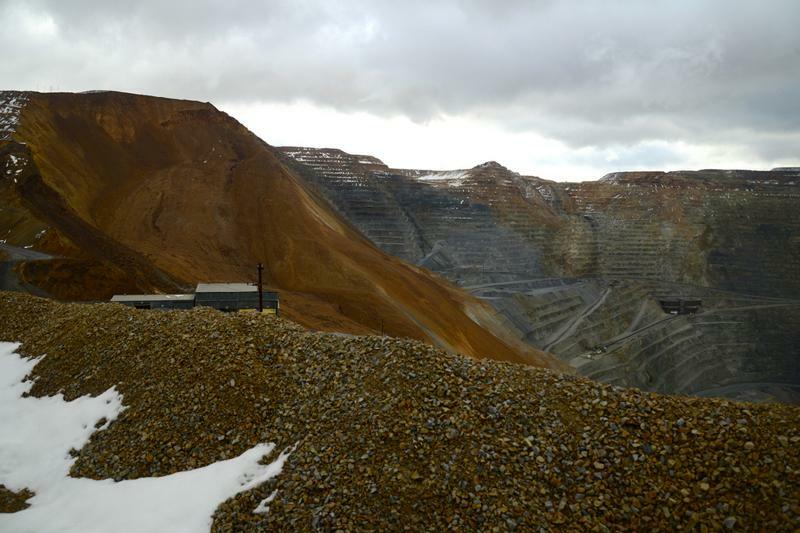 Kennecott officials are currently asking employees to voluntarily take any time off or vacation days they have, but will provide work for those who choose to show up.